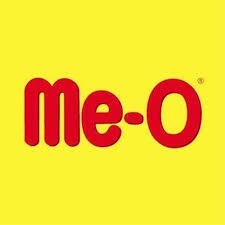 Meo Cat Food Mackerel 80gms at lowest price in India. Decreases risk of high blood pressure, kidney and heart disease in cats. Nutritionally balanced and complete cat food. The highly digestible and cats love its great taste. Formulated to meet or surpass the nutritional levels. Ingredients: Wholegrain Cereals, Chicken fat, Poultry by-product meal, Iodized Salt, Taurine, Vitamins and Minerals, Antioxidants, Food coloring, Vegetable Protein, Fish meal, Cassava, Brewers dried yeast, Fish and Mackerel digest. CLICK ON THE EXTRA OFFER AND GET 6 % OFF Type: Cat food. Quantity: 80gms in a pack of 12 Suitable for adult cats over 12 months of age. Nutritionally balanced and complete cat food. Improves cat's eyesight. Decreases risk of high blood pressure, kidney and heart disease in cats.